Born in London in 1908, Gloria owned a cafe bar next door to ‘La Canzone del Mare’, and was a close friend and neighbour to Gracie. 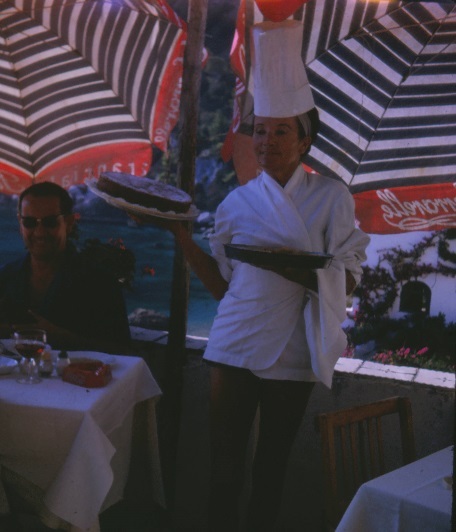 Opened in 1953 by Gloria and her husband Pietro, ‘The Ristorante da Pietro‘ was attached to the local hotel the Pensione Weber, overlooking the sea. Often seen wearing a turban and shouting broken Italian, Gloria kept her restaurant open throughout the winter months, whilst Gracie shut hers. 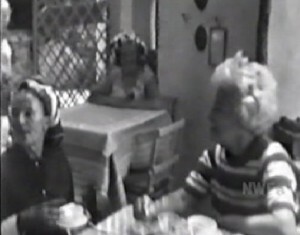 Gloria appears in ‘The World of Gracie Fields’ TV documentary having tea with Gracie. 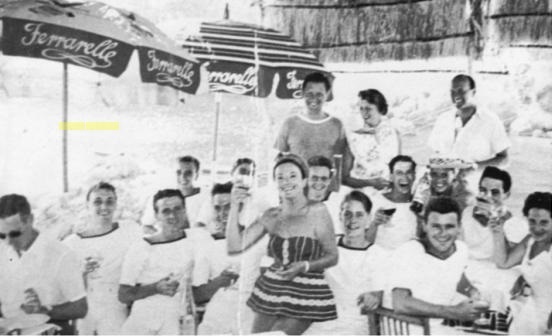 Noel Coward was a friend of hers, and he wrote ‘In A Bar on the Piccola Marina‘ about her.